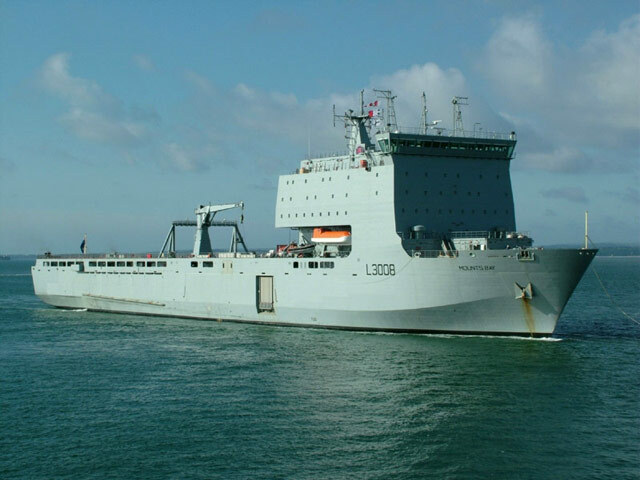 Landing Ship Dock "RFA Mounts Bay (L3008)" entering Portsmouth Harbour at 1000hrs on 20th June, 2006. RFA Largs Bay (L 3006) - The Solent, 15/09/2007. 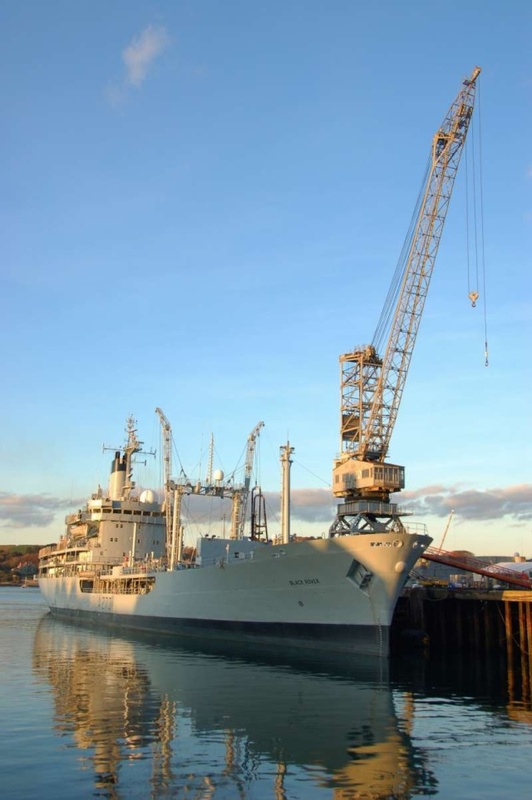 Fleet Replenishment Ship "RFA Fort Rosalie (A 385)" at anchor, Portland (Dorset, UK), 06-10-2007. RFA Largs Bay (L 3006) at Portland (Dorset, UK), 06-10-2007. RFA Largs Bay (L 3006) - Greenwich - 21/10/2007. The small fleet tanker RFA Black Rover (A273) alongside County Wharf, Falmouth, Cornwall, continuing her refit, 20/10/2007. The small fleet tanker RFA Black Rover (A273) alongside County Wharf, Falmouth, Cornwall, continuing her refit, 29/10/2007. RFA Black Rover (A 273) alongside County Wharf, Falmouth, Cornwall, continuing her refit in the late autumn sunshine - 15/11/2007. 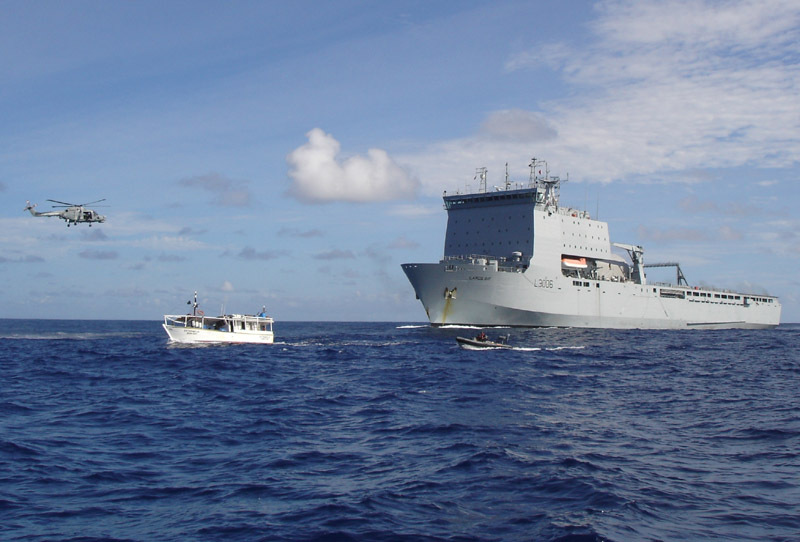 British naval forces have notched up another counter-narcotics success in the Caribbean after the Royal Fleet Auxiliary (RFA) landing ship Largs Bay intercepted over half a tonne of cocaine on her first ever operational patrol. 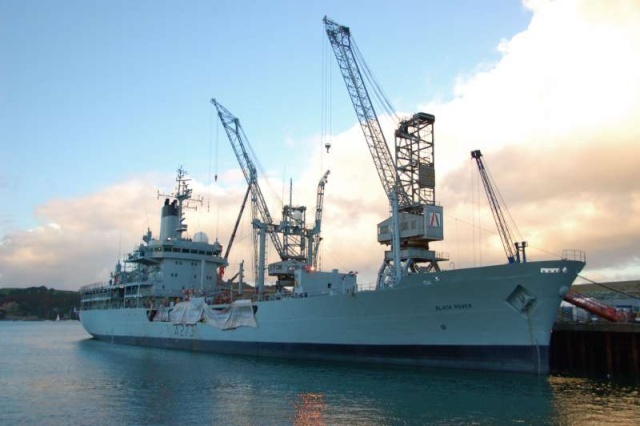 RFA Largs Bay is currently tasked to provide support to UK Overseas Territories and to assist in the joint international effort in disrupting the flow of narcotics from South America to Europe and the USA. 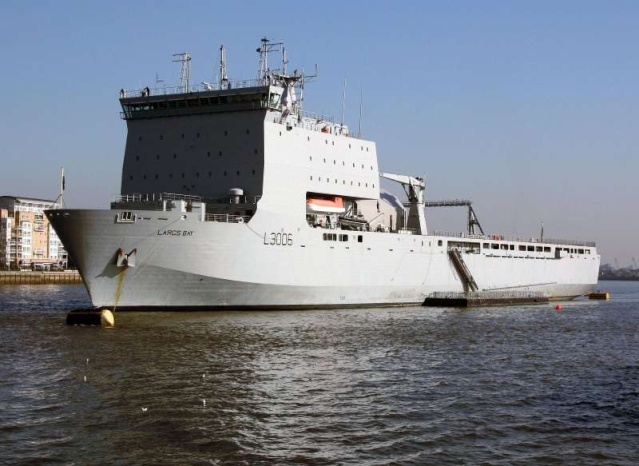 The Royal Navy and RFA have had a series of successful operations to foil drug smuggling cartels in recent months. Although this latest incident started several days ago details have been put on hold for operational reasons. It began when Largs Bay tasked her Royal Navy Lynx helicopter, from 815 Naval Air Squadron based at Yeovilton in Somerset, to investigate a small fishing boat that had stopped in the water eight miles ahead of the ship, some 390 miles northeast of Barbados. As the 16,000-tonne Largs Bay and the Lynx approached the vessel, the aircrew witnessed the fishermen hastily dumping their cargo into the sea. The Lynx hovered over the bales to mark their position in the rapidly diminishing light, simultaneously tracking the fleeing smugglers at the same time. Largs Bay's sea boat was then launched. Despite the bales of cocaine being weighted - and the difficult twilight conditions - the crew managed to recover some 575kg of cocaine before being forced to leave as darkness approached. They were also mindful that there was a need to try and catch the suspect vessel as it attempted its getaway. Meanwhile, the Lynx rapidly refuelled and began the pursuit. 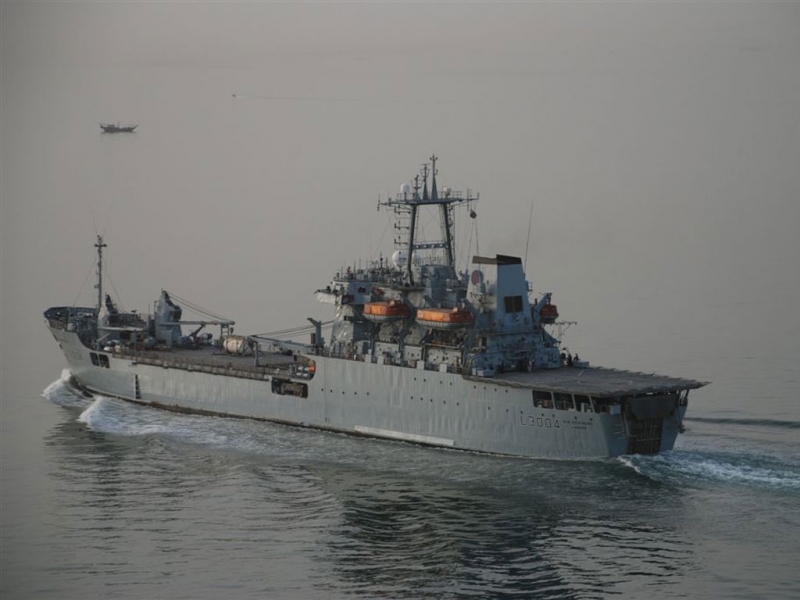 RFA Largs Bay once again intercepted the drug smugglers, with flag state approval sought to despatch elements of the embarked US Coastguard Law Enforcement Detachment to question the vessel's skipper; this was eventually received and the fishing boat subsequently boarded. Largs Bay is now escorting the Venezuelan fishing boat Astromelia and her crew to a rendezvous with a Venezuelan naval vessel for handover and due process. 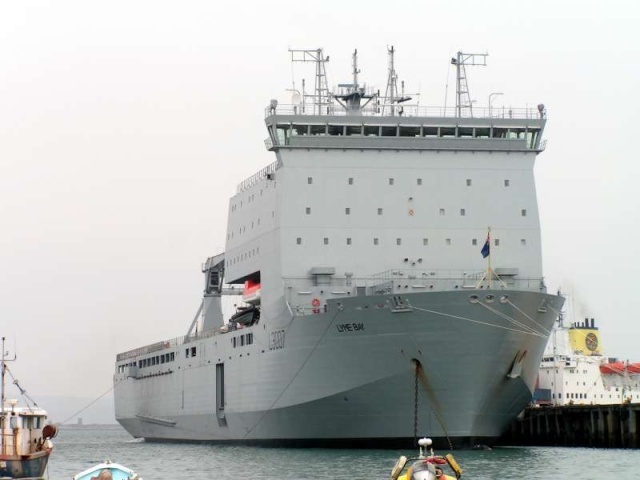 "RFA Largs Bay is at the cutting edge of the international fight against drug smuggling. I am delighted that we have successfully secured a significant amount of cocaine, with a street value estimated at some £20 million and once more dealt a significant blow to the drug cartels. It is particularly satisfying given that this is the ship's first operational deployment after commissioning, and demonstrates the Government and MOD's ongoing commitment to keep narcotics off our streets." "The Navy and RFA have once again struck a major blow against the blight of drug dealers. I would like to thank them for this valuable contribution to keeping our country safe." 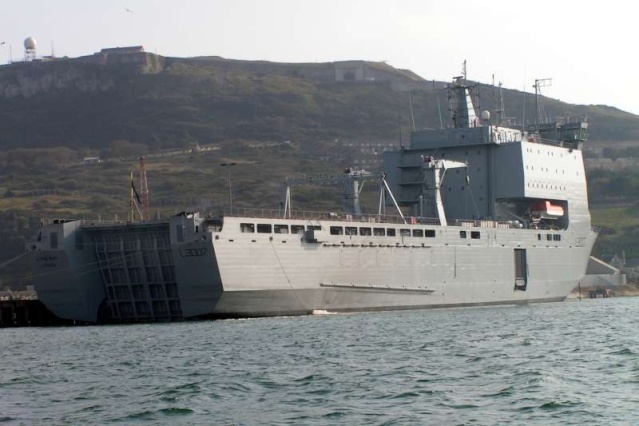 RFA Largs Bay is the First of Class Landing Ship Dock (Auxiliary) (LSD (A)). 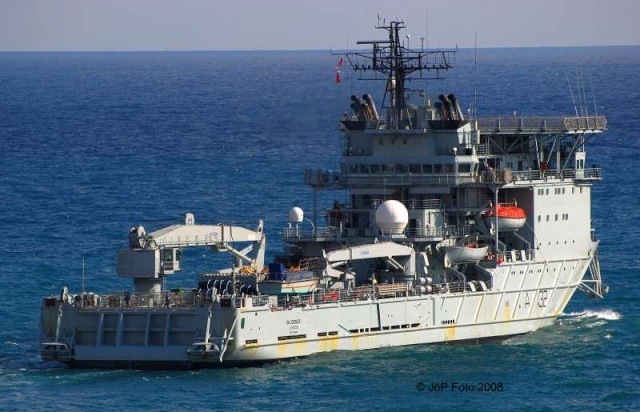 The LSD (A) provide a significantly enhanced capability from the Landing Ship Logistics (LSLs) that they replace, enabling rapid deployment of troops, vehicles and stores from over the horizon and in challenging sea conditions. LARGS BAY, at over 16,000 tonnes full load, is much larger, more capable and more flexible than the LSLs, with more than twice their capacity. 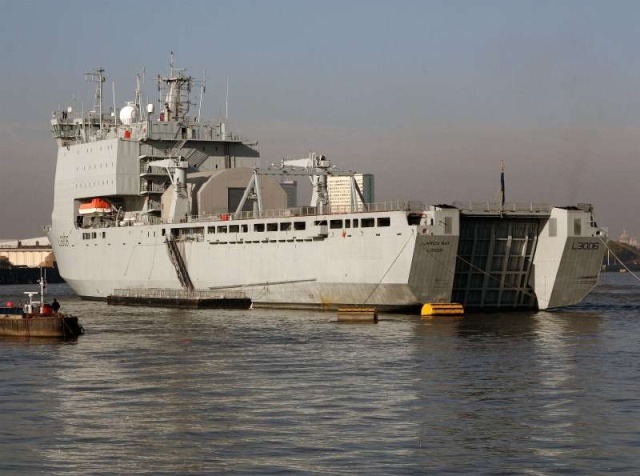 The class provides a major increase in the capability of the RFA to support amphibious operations and other military tasks such as peacekeeping duties and disaster relief. 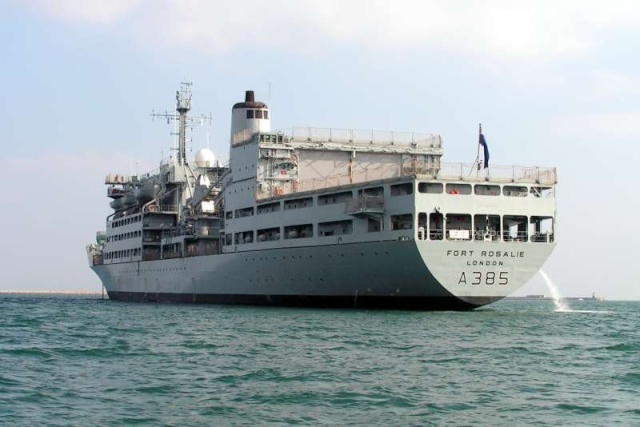 RFA Largs Bay is designed to carry an Embarked Military Force of 356 fully equipped troops which can be doubled in war 'overload' conditions. As well as transporting troops, Largs Bay can carry 32 Challenger Main Battle Tanks along with a vast array of other military vehicles. She has the aviation capability to transport and operate two medium helicopters, having power available for starting and servicing the aircraft, and the ability to refuel them on deck and in-flight. An aircraft shelter has been added since her introduction into service. Along with some specific survivability and self-defence features, Largs Bay is fitted with a military communications suite and fitted to receive military weapons. She is built to Class 1 Passenger Ship Certification standards and classed by Lloyd's Register. 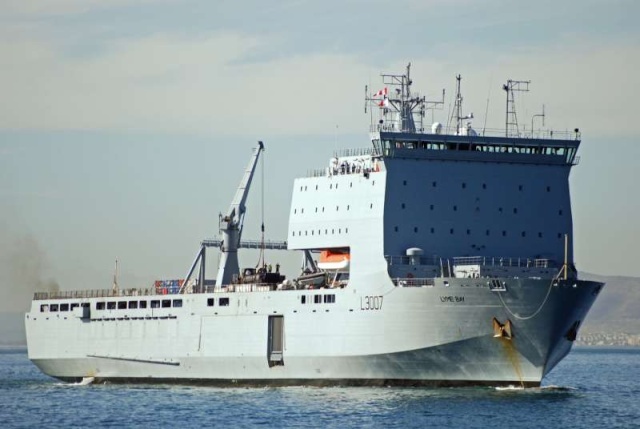 Royal Fleet Auxiliary (RFA) ship Lyme Bay – the newest of four landing ships has been tasked to support the repair of the harbour in Tristan Da Cunha. 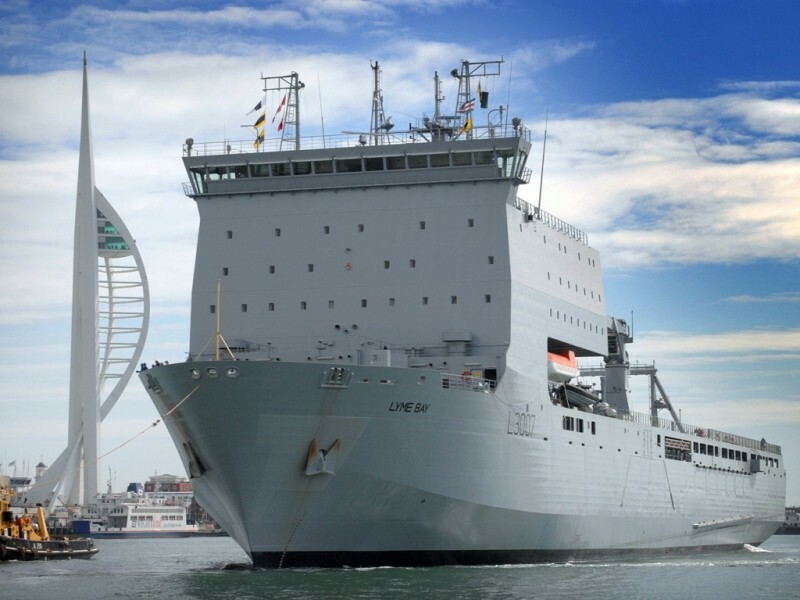 RFA Lyme Bay was handed over to the Royal Fleet Auxiliary Service in a major ceremony in Portland Port in Dorset last August. Since then she has continued on her new-ship acceptance trials programme and supporting the Royal Marines winter training programme in Norway. While in Portland she has been re-tasked at short notice to proceed to Tristan Da Cunha. Her links to the Dorset and Somerset area have been enhanced by formal affiliations. She is affiliated to the Dorset county town of Dorchester and has links with the Sea Cadet Corps in Glastonbury and Yeovil in Somerset; Bridport, in Dorset, and the Royal Naval Associations in Axminster and Dorchester. Tristan da Cunha is the world’s most isolated community, situated 1800 miles west of Cape Town in the South Atlantic and nearly 5,000 miles from PortlandTheir harbour is the principal method of access to the islanders for people, supplies and trade, its loss would result in some privation and difficulties for the islanders and may result in a total or partial evacuation to be considered. It has been undermined by the South Atlantic swell and is in need of temporary repair prior to a major refurbishment due to commence in the summer. 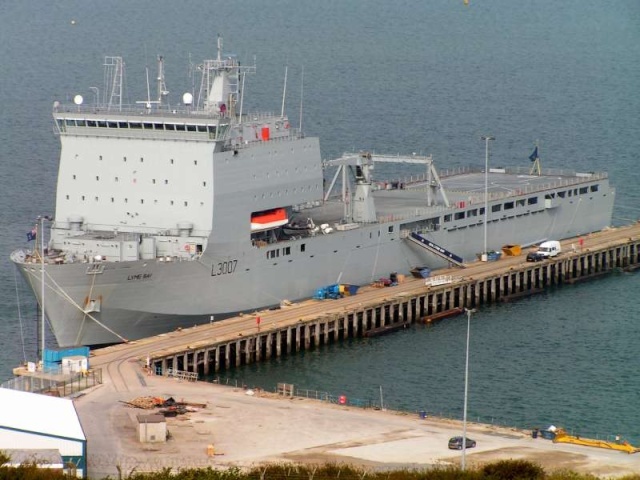 In order to effect that repair RFA Lyme Bay is embarking 150 pallets of cement, a number of construction machines such as bulldozers, stone crushers and cement mixers and landing craft to move the stores and people ashore. 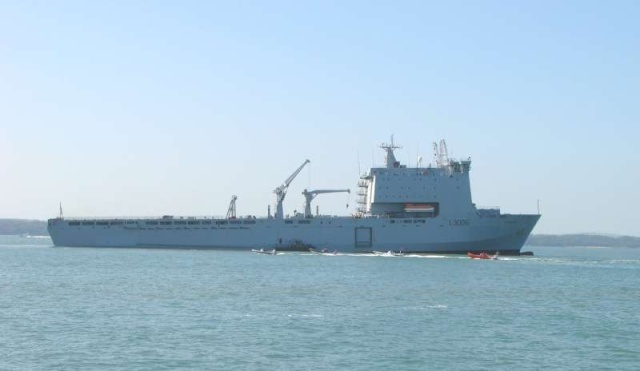 To conduct the repair 40 Royal Engineers plus a detachment from the Royal Logistic Corps and a medical support team from the Royal Navy are joining RFA Lyme Bay. The ship will leave this week to collect additional stores personnel and bunkers en-route before reaching the Islands towards the end of February. Work will commence immediately and hopefully complete before the commencement of the Austral winter on 31 March when it is increasingly likely that access and the ability to continue with the repair will become untenable due to the sea conditions. The island group consisting of the main volcanic island of Tristan da Cunha and the other Islands of Inaccessible Island and Gough Island have about 270 inhabitants on Tristan, who are wholly self-supporting and have an economy based on fishing and tourism. 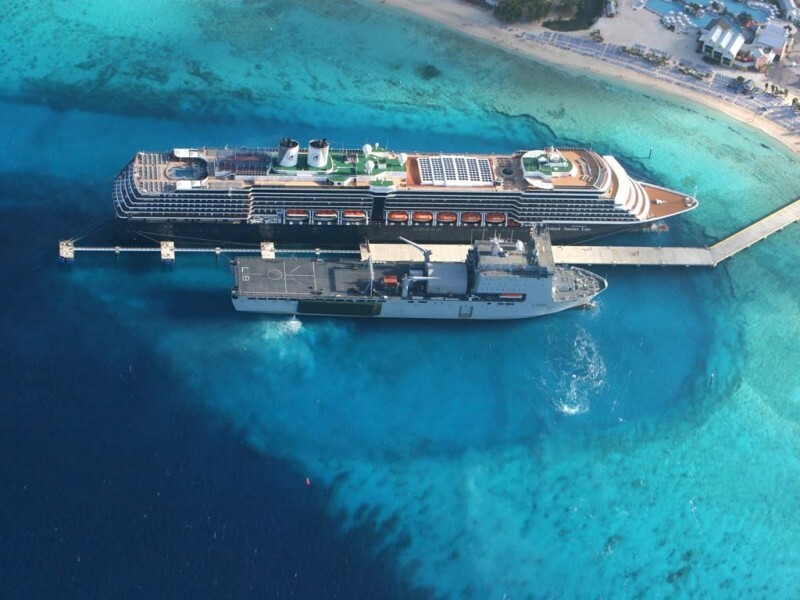 Patrolling the Caribbean waters as part of the international effort to counter illegal narcotic trafficking is a relentless task so when the opportunity to go alongside in Grand Turk, part of the Turks and Caicos islands, appeared we took full advantage. The visit was designed to provide reassurance and demonstrate the UK’s commitment towards the support and security of one of it’s Overseas Territories. The Governors office asked the ship for 10 volunteers to help with beach cleaning operations. The islands environmental agency has the on going task of looking after the islands coral reefs and beaches. Due to human wastage and natural over growth the composition of the sands is changing. With the help of the local people and members of ship’s company we were able to make a big impression and clean up a large stretch of beach. The local people were very appreciative and with members of the ships company enjoyed a barbeque provided by the Governor’s office. At the same time it was a good opportunity to allow the local school children a chance to have tour around the ship. They really enjoyed this and by far their favourite attraction was the embarked Lynx helicopter, where they all showed an interest in being budding pilots. After our brief visit in Grand Turk we sailed for US naval base Guantanamo bay for a fuel top up, this time staying over night giving the crew an opportunity to visit the PX( american military discount store) and for some to get a much needed hair cut. On sailing from Guantanamo bay we are back on patrol with moderate winds and very warm temperatures. The last of a class of landing ships that played a vital role in the Falklands War and both conflicts in the Gulf, bows out of service on Monday (February 18 ) on her return from a year-long Middle East mission. 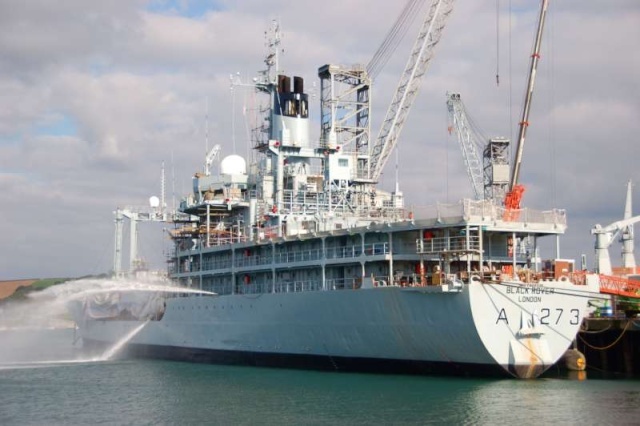 Royal Fleet Auxiliary (RFA) Sir Bedivere will be met on her final arrival at the Sea Mounting Centre at Marchwood in Southampton Water by His Royal Highness the Earl of Wessex. Prince Edward, in his capacity as Commodore-in-Chief of the Royal Fleet Auxiliary, will join the head of the RFA, Commodore Bob Thornton, on board Sir Bedivere almost a year to the day since her departure to the Gulf on her last operational mission. 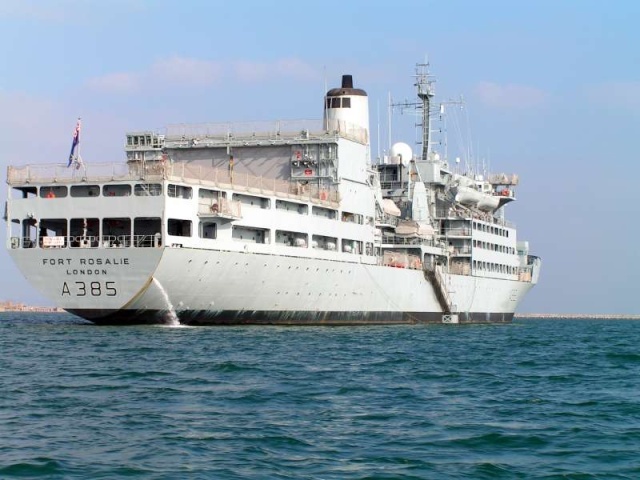 Sir Bedivere, now more than 40 years old, is one of six landing ships which began entering service in the 1960s, all named after King Arthur’s knights. During the Falkands War Bedivere was hit by a 1,000lb Argentinian bomb which bounced off the ship without causing casualties and exploded in the sea. Almost ten years later she saw service in the first Gulf War when she delivered equipment and supplies to 7th Armoured Brigade. In 2003 she was back in the war zone for the conflict with Iraq. 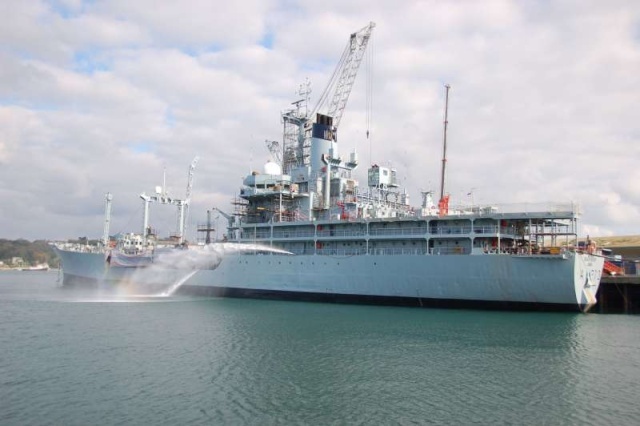 Families of the ship’s company will be embarked in Sir Bedivere for the vessel’s final entry into Marchwood under her last Commanding Officer, Captain David Buck RFA. Sir Bedivere and other ships of her class have been replaced by four much larger and more capable Bay-class vessels. 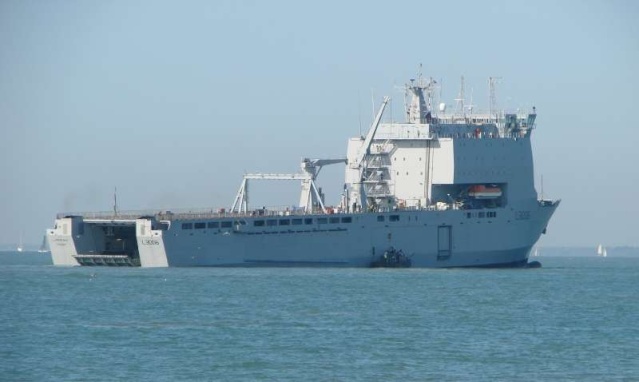 Her role in the Middle East is in fact being taken on by one of them, RFA Cardigan Bay. 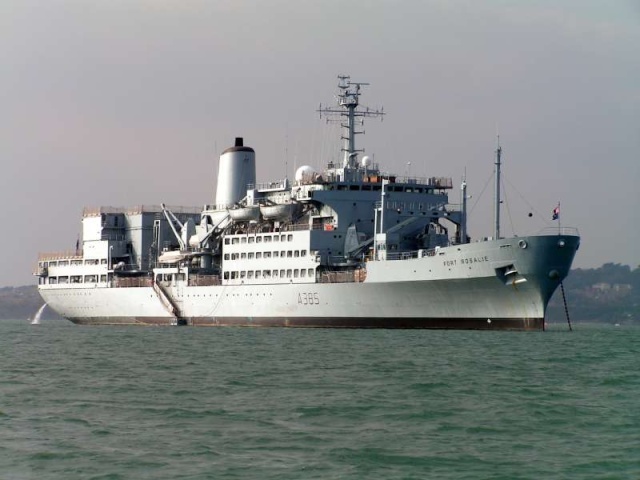 RFA Sir Bedivere entered service in 1967. She is 137 metres long, displaces 6,700 tonnes and has a complement of 49. She could embark up to 340 troops and up to 50 vehicles, including tanks. The ship underwent significant reconstruction in 1994-98. RFA Diligence visiting Valletta on 10-02-2008. 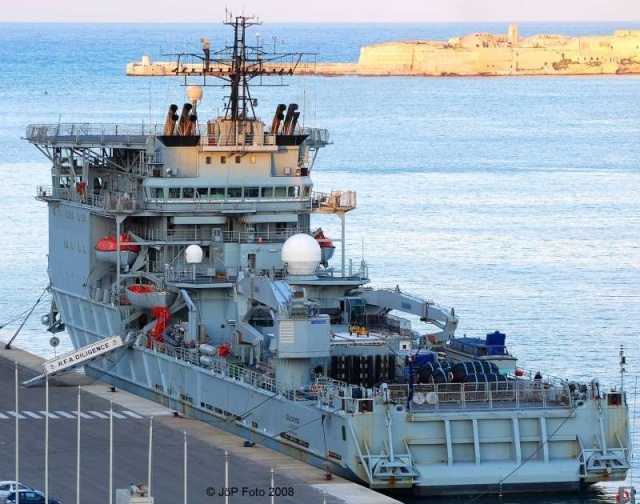 RFA Diligence outbound from the port of Valletta on 13-02-2008.